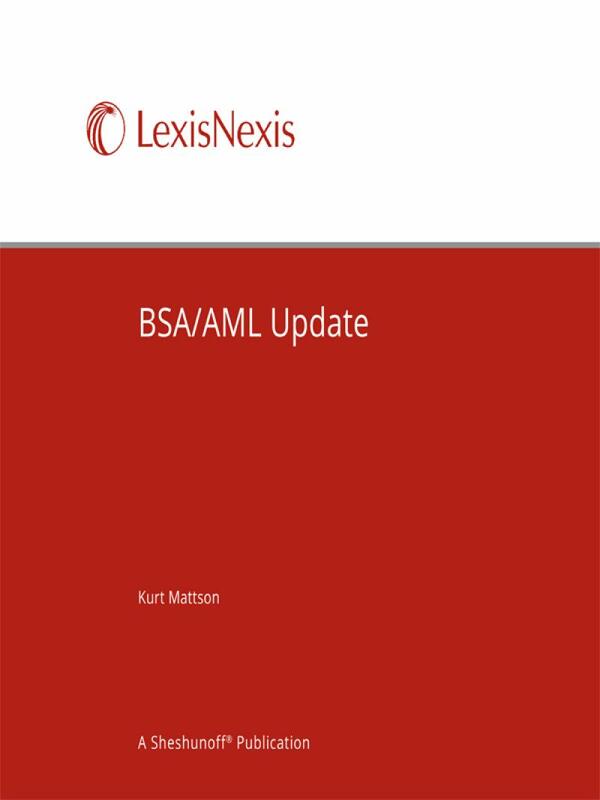 This newsletter provides you with the most current Bank Secrecy Act (BSA) and anti-money laundering (AML) information twice a month. 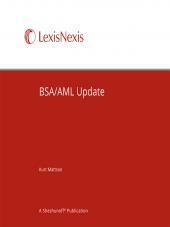 Designed to keep you on top of regulatory changes and hot court cases this time-saving tool helps you tackle all your BSA/AML issues. Kurt R. Mattson is the President of Union Legal Research. 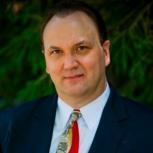 He is the former Director of Library Services and Continuing Education at Lionel Sawyer & Collins in Las Vegas. Prior to this, he served in numerous research, product development, and editorial positions with BNA and other legal publishers. He spent a substantial portion of his career working for West Publishing (Thomson Reuters). He has also served as a consultant for several legal research and marketing companies. Kurt received his JD from William Mitchell College of Law and his Masters of Law (LLM) from George Washington University. He received his Masters of Library Information Science (MLIS) from Wayne State University in 2016. 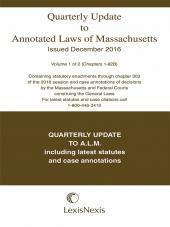 Kurt is the editor of the Lexis title, BSA/AML Update, and co-author of A.S. Pratt's Mortgage Procedure Guide to Federal and State Compliance, and author of Fair Debt Collection Practices: Federal and State Law and Regulation. 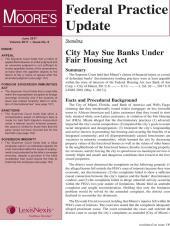 His article on employment discrimination, Demise of Disparate Impact on the Rehnquist Court, was published in the University of North Dakota Law Review. 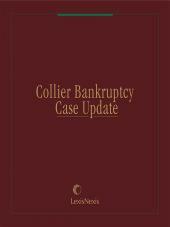 He is also a contributor to other business and legal publications. Kurt has lectured on legal research for the National Business Institute and taught several semesters of legal research at the University of California, Riverside. He served on the American Association of Law Librarians Committee on Relations with Information Vendors and the Education Committee of the Nevada CLE Board and is currently the co-editor of the AALL Private Law Librarians & Information Professionals Special Interest Section E-Newsletter.